This map shows the locations of Independent Hostels along the Great Glen, around Fort William, Inverness and the infamous Loch Ness. The hostels are also well equipped for adventurous holidays, walkers, climbers and outdoor enthusiasts. Can you think of a better place to go exploring than by the Loch Ness? Staying on the banks of Lochness listening to tales of Nessie, the legendary Loch Ness Monster! 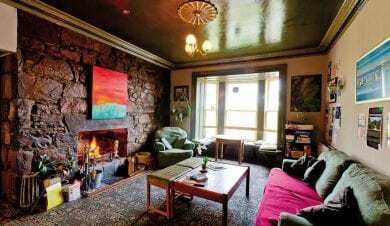 Hostels in Inverness are great for city breaks: exploring the beautiful castles, cathedrals, and art galleries, or just experiencing the thrill of the city itself and their low cost won’t put a big toll on your holiday expenses. 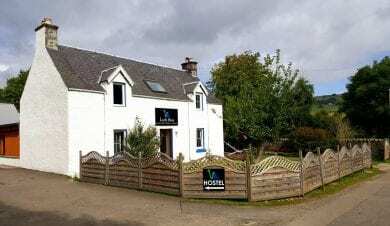 The Lochside Hostel, Altsigh, is perched on the banks of Loch Ness with amazing views up and down the loch & direct access to the water. Go for a dip in Scotland's largest Loch. Take a walk to watch for wildlife. Or hunt the elusive Nessie! On The Great Glen walk and near the End to End cycle route. 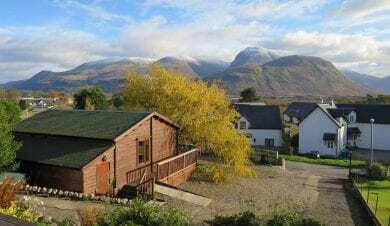 Smiddy Bunkhouse at the Snowgoose Mountain Centre in Corpach is 4 miles from Fort William & Ben Nevis with the meeting of the West Highland Way and Great Glen Way on the doorstep. Perfect for the outdoor enthusiast, groups or families with advice, instruction & guiding from resident instructors. 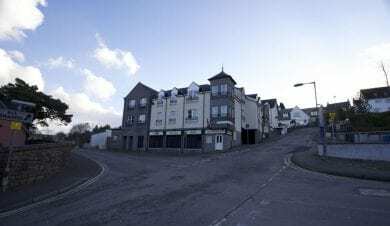 Bank Street Lodge is 100 metres from Fort William High Street which has numerous shops, pubs and restaurants. There is a fully equipped kitchen, a common room lounge with Wifi and a snack vending machine. All bedding is provided. En suite private rooms available. 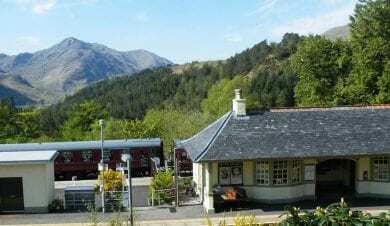 Glenfinnan Sleeping Car provides unique accommodation in an historic railway carriage close to the famous Glenfinnan Viaduct. Ideal for the mountains of Lochaber, Rough Bounds, Moidart and Ardgour and a useful stop-over en route to Skye. Visit the station museum and dining coach for excellent meals. 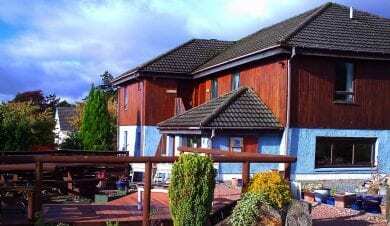 Great Glen Hostel, South Laggan, Spean Bridge, is between mountains and lochs north of Fort William and south of Loch Ness. On the Great Glen Way and perfect for touring the Highlands, bagging Munros or paddling rivers & lochs. Comfortable, well appointed accommodation in twin, family & dorm rooms. 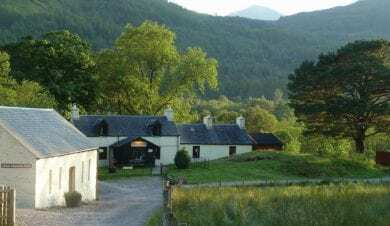 Àite Cruinnichidh close to Roy Bridge and Fort William occupies a unique sheltered spot adjacent to the Monessie Gorge where you can explore remote glens, mountain passes and lochs. 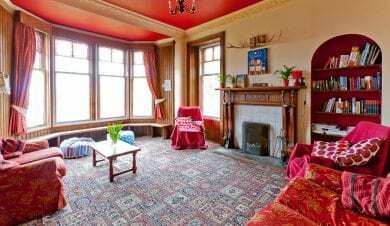 The hostel has a fully equipped kitchen/dining room, sitting room, excellent showers and sauna. 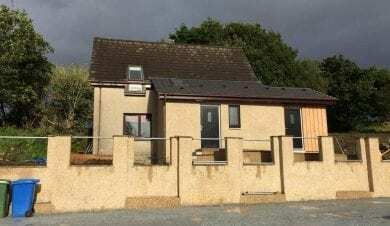 Corran Bunkhouse, lies on the shore of Loch Linnhe, 8 miles south of Fort William and 7 miles north of Glencoe. 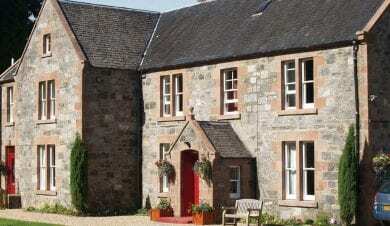 With two fully equipped, 4 star self-catering bunkhouses it is an ideal base for small and large groups. All bedrooms are en suite. Children and pets welcome. 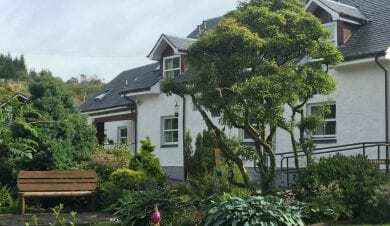 Coorie Doon Cabin is next to the road to the Isles, Caledonian Canal, Great Glen Way and close to the West Highland Way, Nevis Range and Glencoe Mountain Resort. This stylish cabin has a drying room, underfloor heating and sauna. Easy access to world-class hiking, climbing, skiing, mountain biking. This map shows the location of Independent Hostels along the Great Glen, which runs between Fort William and Inverness and includes the world famous Loch Ness and its equally famous inhabitant, Nessie. They are all part of Independent Hostels UK, the largest network of hostels and bunkhouses in the UK. In the south of the Glen, Fort William is known as the Outdoor Capital of the UK. 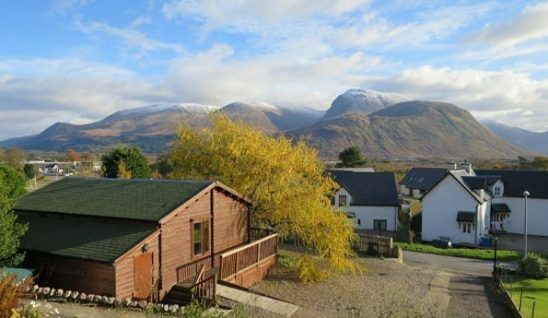 It nestles in the shadow of the UK’s highest mountain, Ben Nevis, and is not far from the superb valley of Glencoe. The Great Glen itself is ideal for water pursuits, such as boat trips on the lochs or along the Caledonian Canal, as well as canoeing and white water rafting. The countryside is perfect terrain for hill walkers or long distance walkers on the Great Glen Way or the new South Loch Ness Trail. Cyclists will enjoy the off road trails or taking part in LeJoG on the rolling local roads. 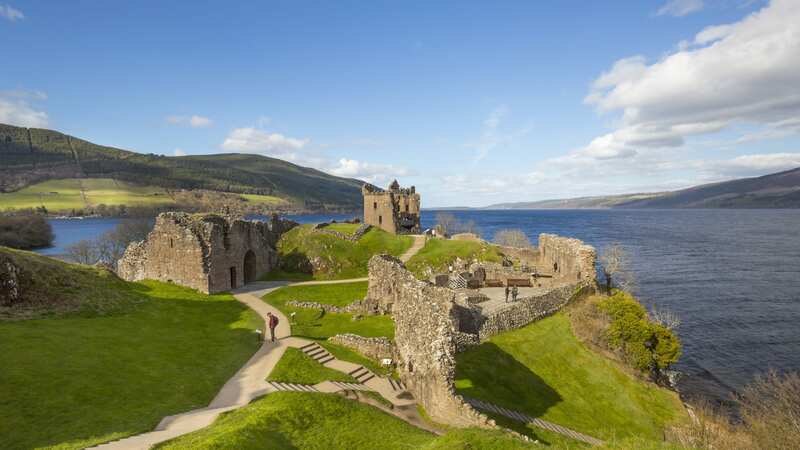 If adventure is not your thing, you can visit Urquhart castle, the Falls of Foyers, the canal lock staircase at Fort Augustus or many other local attractions. At the northern end of the Glen, the Highland capital Inverness boasts all the restaurants, bars and shops you could want, plus the beautiful Ness Islands, and Eden Court Theatre. With its own airport, it’s perfect for a city break. 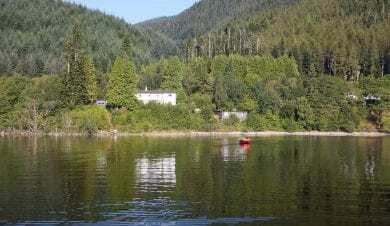 The Independent hostels and bunkhouses in this area are well equipped for those taking part in outdoor pursuits, and are well used to catering for walkers, cyclists and those who have been out on the water. 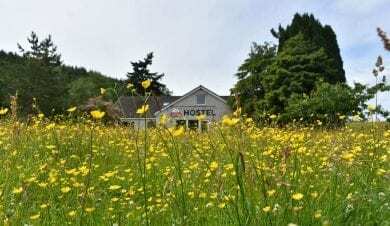 Those in the towns offer an affordable alternative to budget hotel chains for those on a tight budget, or those who just want to stay somewhere less impersonal. Independent hostels are privately owned, like B&Bs, but are different in every other way. They typically offer a mix of private rooms (many en suite) and beds in shared dormitory rooms. 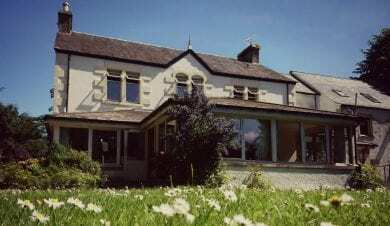 They provide self catering facilities and a warm and buzzing communal atmosphere. They will generally have WiFi, drying rooms, laundry facilities, bike storage, and sometimes catered food for those who want it.